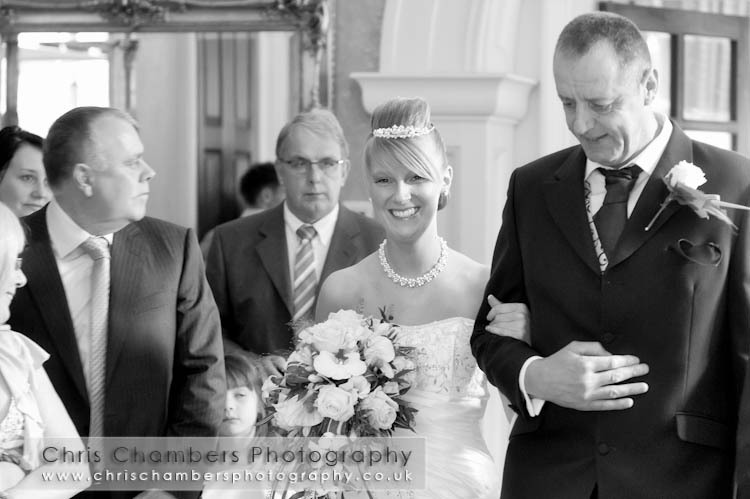 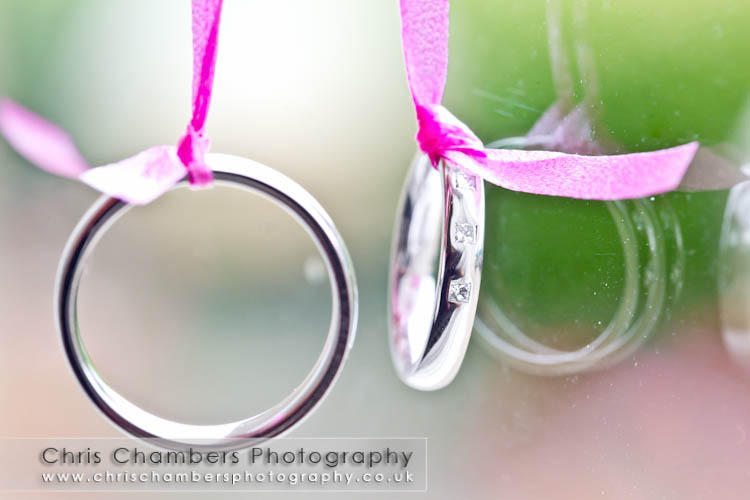 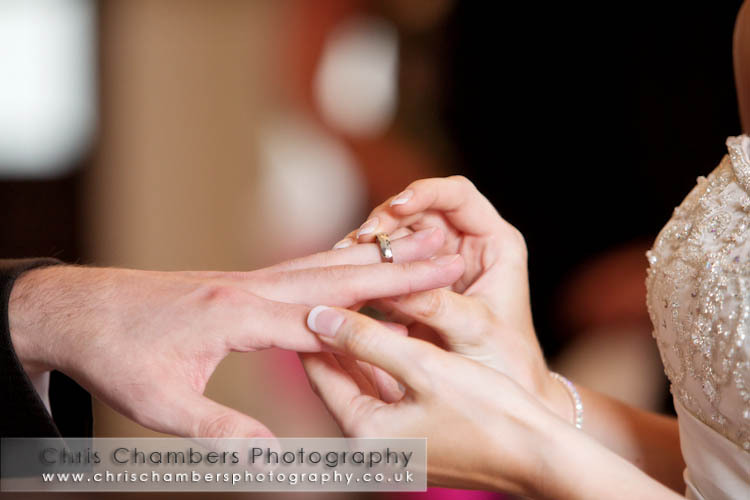 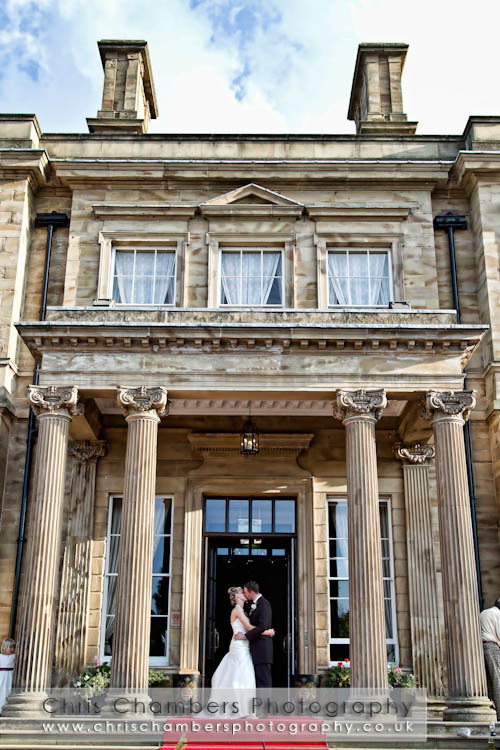 Clare and Daniel were married on Saturday in a civil ceremony at Oulton Hall on the outskirts of Leeds., West Yorkshire. 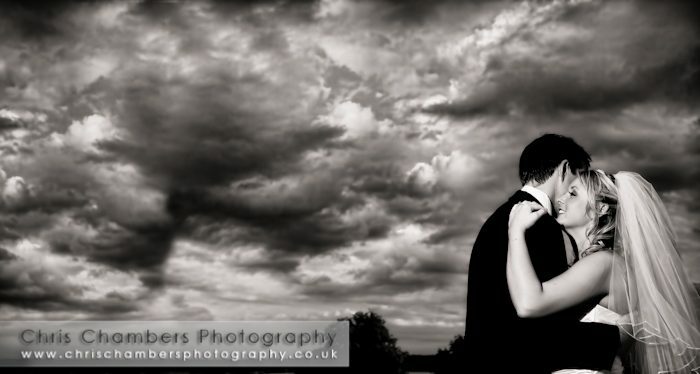 Friday’s weather had initially rolled into Saturday morning. 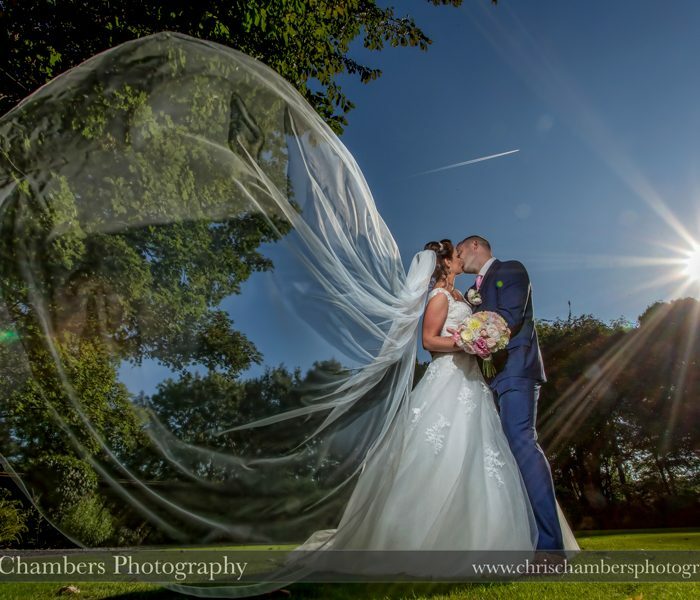 Thankfully the Met Office proved they don’t guess every weather forecast and as predicted by mid morning the skies had cleared to leave a superb day with bright blue skies and lots of great sunshine. 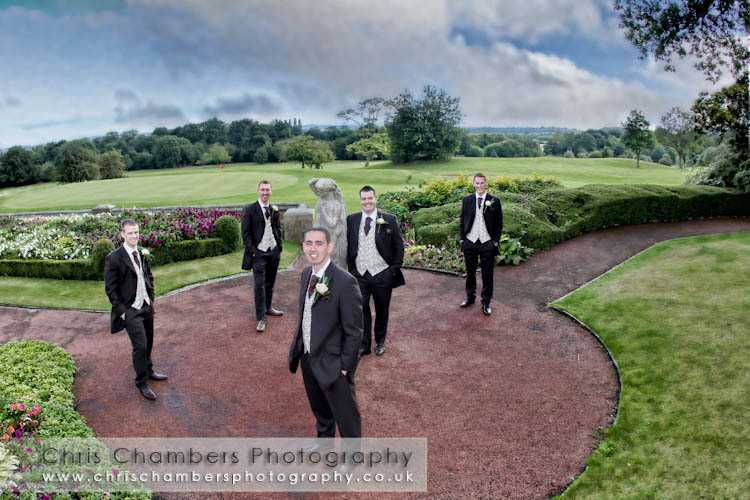 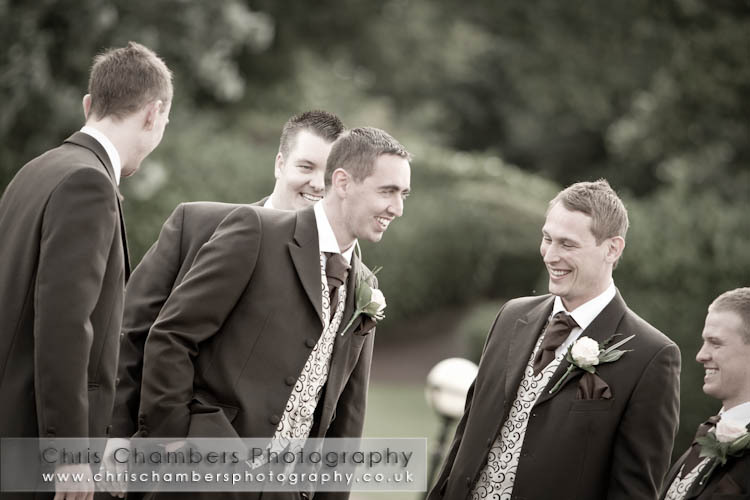 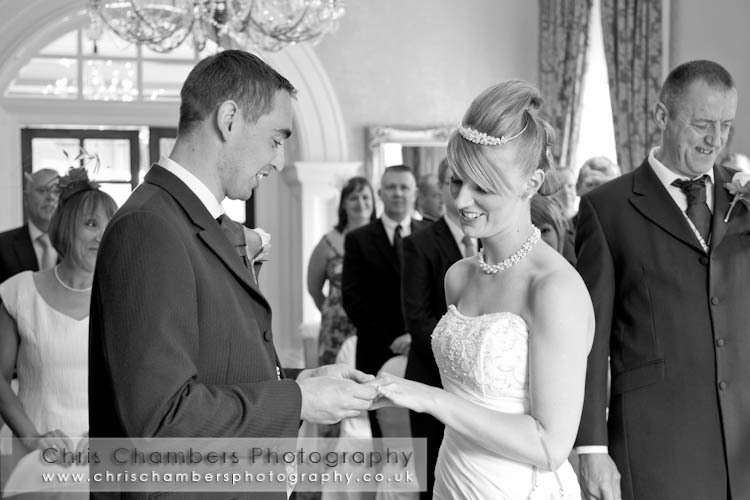 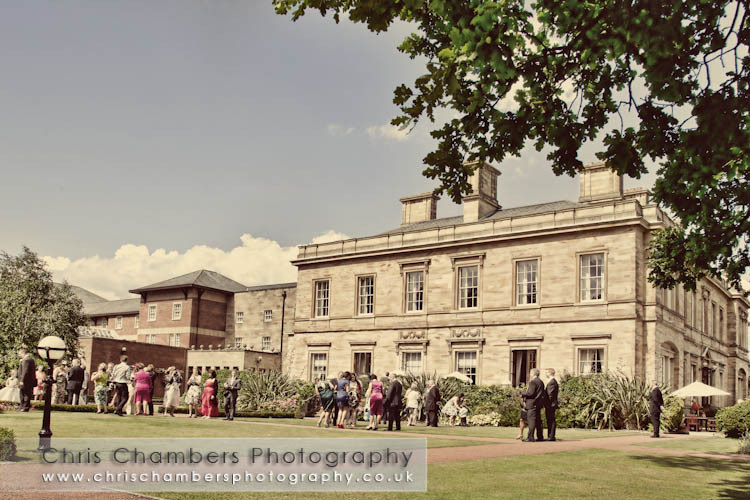 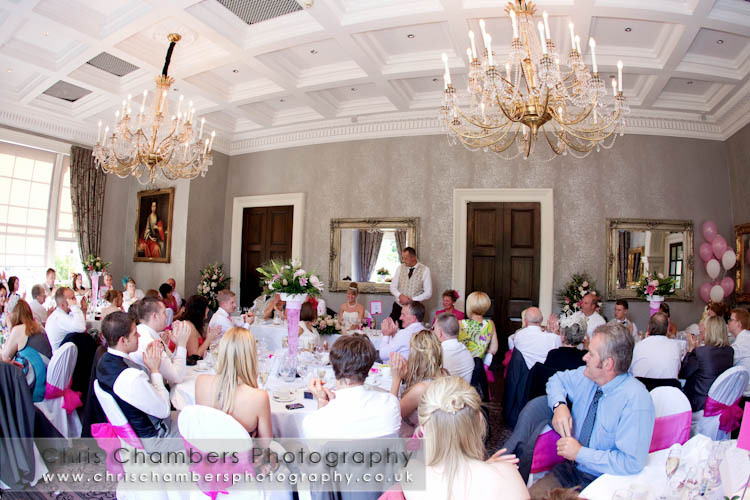 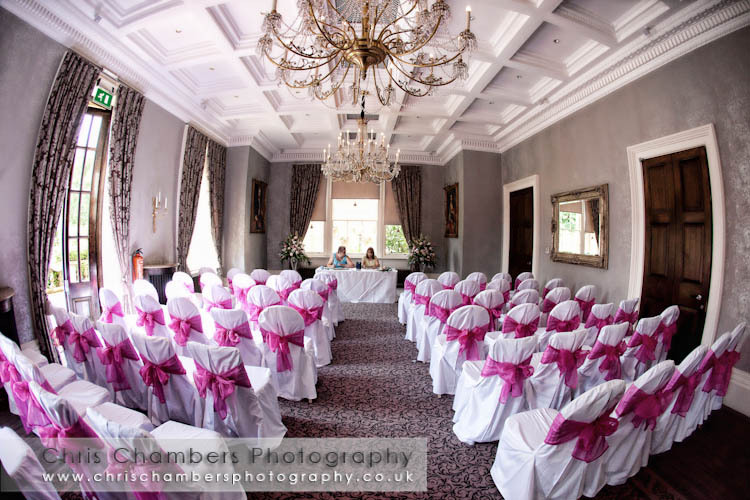 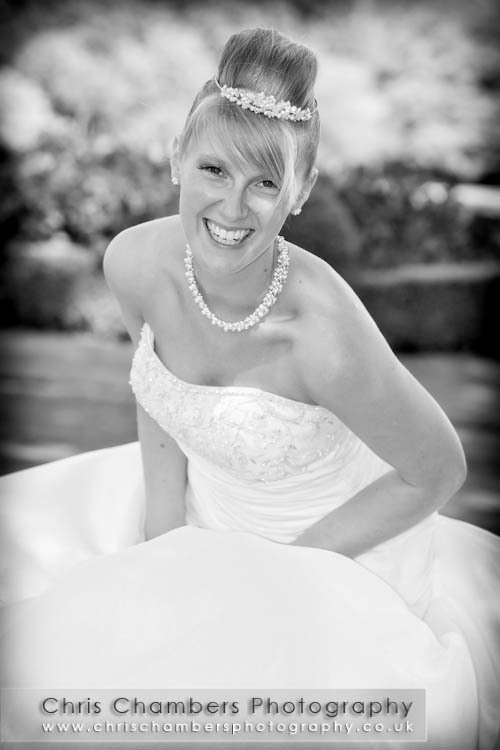 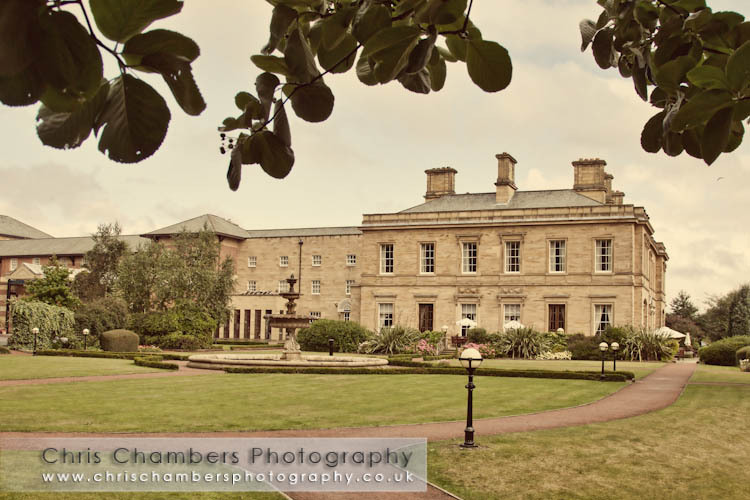 perfect for wedding photographs and a drinks reception on the rear lawn of Oulton Hall. 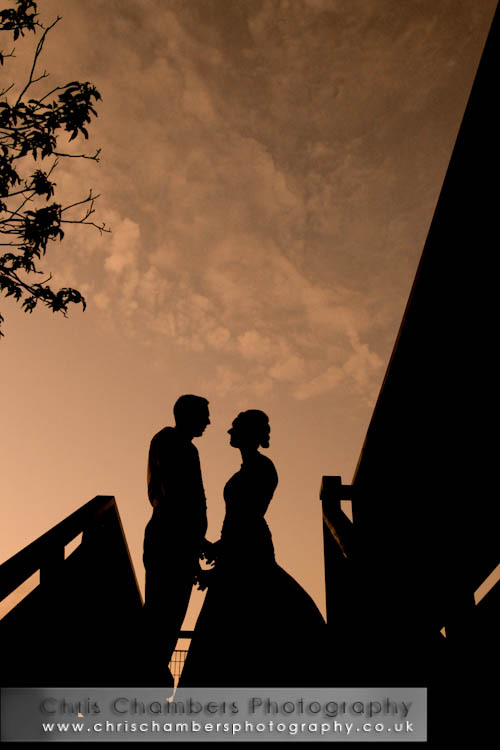 The evening reception took place at the Claret Jug, just before the bride and groom’s first dance we were treated a great coloured sky and sunset. 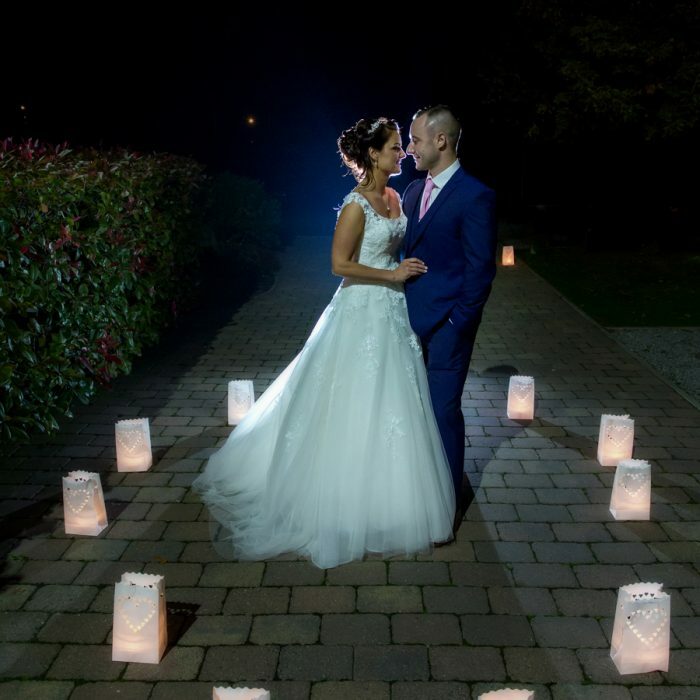 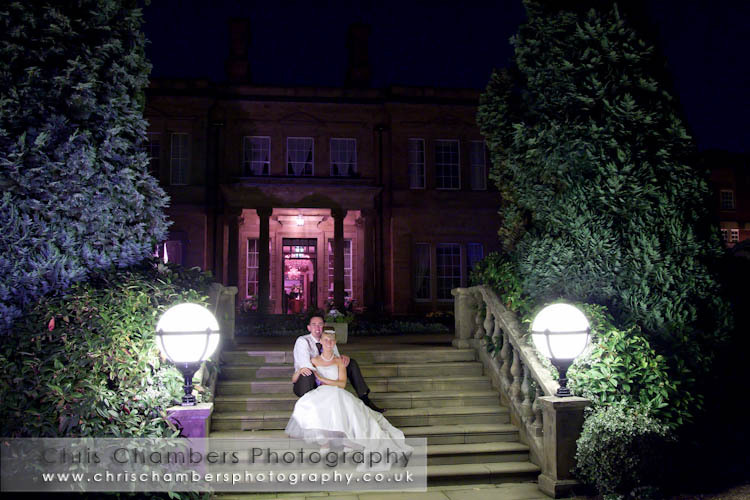 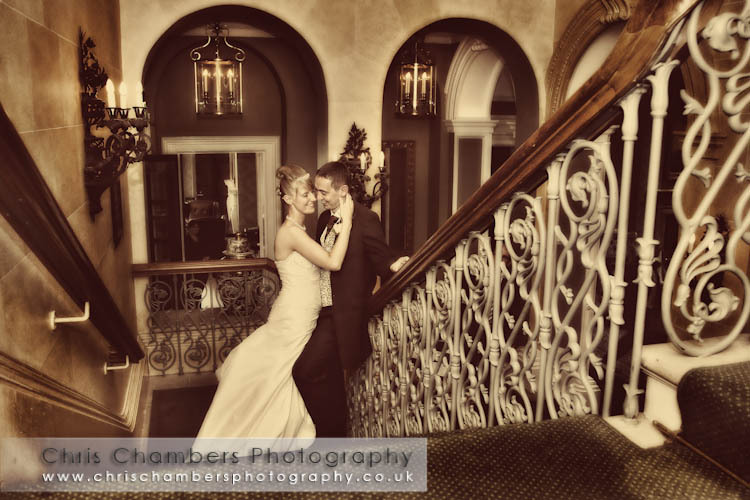 To round of the night we finished with some photographs of Daniel and Clare on the front steps of Oulton Hall.